Blog: Centre for Welfare Reform Issues around Chronic Illness and Disability. The Chronic Illness Inclusion Project ran two extended online focus groups, each running over an eight-week period, where people could come together and explore issues around chronic illness and disability. The online aspect of our research wasn’t for reasons of cost or convenience, it was fundamental to our aim of reaching an invisible housebound population. We wanted to include people who are often left out of traditional consultations and focus groups due to significant energy impairment: people who may too unwell to attend events, and whose concentration span is limited, sporadic and unpredictable due to “brainfog”. This is the very group that welfare policy makers have assumed are “just tired”, like everyone else, and who simply need to “try harder”. It was important to participants that the work be taken forward and put into practical effect, rather than being merely more words: “It’s good in that it’s enabled people to express their views but it’s been too wordy – far too concerned with terminology… My understanding of the social model or any other theoretical construct is low because I lose the will to live trying to plough through the words which at the end seem to bear little relation to my life. 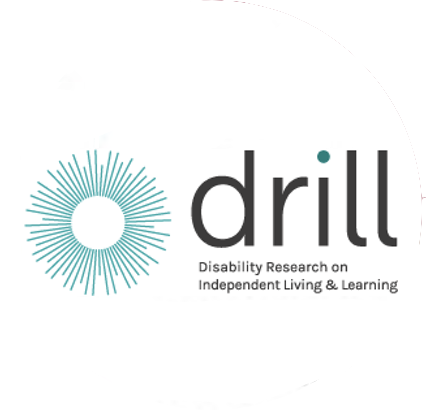 evaluation system and tools are in place and are functioning satisfactory to capture the outputs, outcomes and impact of the 32 research and pilot projects funded by DRILL; and (ii) supporting DRILL in the most effective use of the research and pilot evidence provided by the Programme. A third level qualification (i.e. a degree or equivalent level professional qualification) in a relevant discipline with 2 years’ experience of (i) undertaking data collection, data analysis and reporting and (ii) presenting and using research evidence and findings effectively. (Or alternatively 5 years experience). Experience of the monitoring and evaluation of grant funded projects and producing evaluation reports. Proficient in Microsoft Office as well as research software. The ability to meet the travel requirements of the post – ie to undertake travel throughout Northern Ireland and the rest of the UK. Application packs can be downloaded at www.disabilityaction.org: or obtained by emailing [email protected] The application pack is available in alternative formats such as Braille, large print, etc, on request. Closing date for receipt of completed applications is 2pm on Thursday 31 January 2019.